Our skin is our biggest organ and anything we put on it gets absorbed into our body, so an important element in living a natural, healthy lifestyle is paying closer attention to our skincare products. The general rule should be if you can’t eat it, you probably shouldn’t put it on your skin, and this includes the one product that we are taught to lather on thickly and reapply often: sunscreen. Pick up any bottle of conventional sunscreen and you’ll find that you probably can’t pronounce half the listed ingredients. While they might effectively protect against UV rays, studies have revealed that some common sunscreen chemicals actually cause more harm than good. Oxybenzone, a chemical found in almost every store-bought sunblock, is a known endocrine disruptor that comes with the nasty side effect of interfering with hormones. Another common sunscreen chemical methylisothiazolinone (try pronouncing that one!) was recognized by the American Contact Dermatitis Society as “allergen of the year”, while Benzophenone 2 decreases thyroid function. But even more alarming, and darkly ironic, is that some sunscreens may actually cause cancer. Not only do they contain the known carcinogen retinyl palmitate, but many also function in a way that actually generates DNA-damaging free radicals that can lead to cancer. And if these chemicals are so harmful to the human body, imagine what they can do to the environment and the delicate ocean ecosystem. The good news is you don’t have to lather your body in toxic chemicals to spend time outside in the sun. Just follow this recipe for an all-natural sunscreen you can make at home, which utilizes the natural SPF properties of coconut oil, shea butter, zinc oxide, and essential oils. Coconut oil has natural SPF properties and contains antioxidants that protect skin from sun radiation. You also get all the added benefits of ultra-hydrating coconut oil which softens your skin and prevents wrinkles. 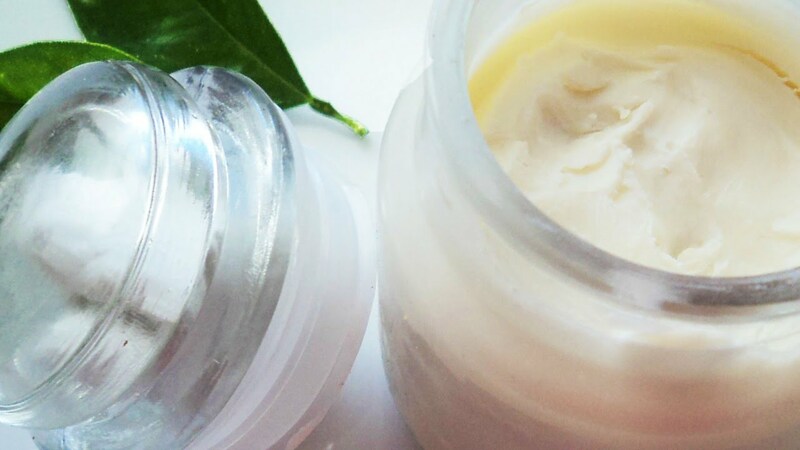 Not only does shea butter nourish and moisturize your skin while it’s exposed to the sun, but it also has natural SPF properties without harmful additives. Made from natural elements found on the earth, zinc oxide has natural SPF properties as well and has been proven to protect the skin from UV rays. Lavender is a wonderful essential oil that restores and heals your skin. Not only does it smell amazing, but it soothes sunburns and reduces the appearance of sunspots. Helichrysum is an essential oil that has been proven to block UV rays, protecting skin from the sun and decreasing the signs of aging. Whip up the coconut oil and shea butter in a blender or food processor. Add the lavender and helichrysum. Mix thoroughly. Carefully add the zinc oxide and stir well. Pour into a glass container and keep cool.